The office market in Hartford has in recent times has seen some difficulties in vacancy rates. The recession saw occupancy rates go down but this gradually picked up and by 2015 things were looking up again. The greater Hartford area has 5 main submarkets with the Hartford Central Business District being a confluence point of all four and therefore having the highest occupancy rates. The city’s lower cost of investment (as well as its geographical position compared to nearby Boston, New York and Providence) have made Hartford office space attractive to both the up and coming and the established investor. Another factor that adds to the attractiveness of Hartford is the active work and play scene that meets both the business and recreational needs of residents . The 4 submarkets are North Hartford, South Hartford, West Hartford and East Hartford. This report discusses the 3 most enticing of the 4 for prospective Hartford office space shoppers. The intention is to shed light on the 4 regions, weighing cost against amenities and ultimately offering enough information to help prospective lessees find what suits them best. The city of Hartford (bounded by the 1-84, 1-91, Main Street, Whitehead Way, and Capitol Avenue) is the business hub in the area having the greatest number of buildings for rent. The city is commonly referred to as the ‘Insurance capital of the world’ since it houses a lot of notable insurance companies such as Aetna Inc., United Technologies Health Care Company Hartford financial Services Group, Travellers Property Casualty Group and the Citibank. Most of these can be found in Downtown Hartford in multi-tenant office buildings. 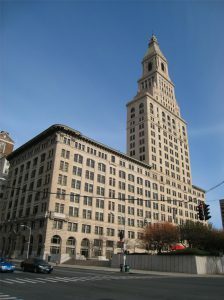 Most of the buildings in downtown Hartford are class A with a variety of amenities, modern floor plans and technology. The mass transit plans which have already been put into effect also make getting to and from downtown Hartford much easier than it used to be. By the end of 2014, the vacancy rate stood at 14.2% with a space of over 800,000 square feet standing empty at that point. The Western Submarket houses most of the suburban office submarket for companies that desires a friendlier and more comfortable feel to their operations. The class A availability space in 2014 was at 22.4% and with new buildings coming up such as the one on 15 Main North Street at the West Hartford Center, there is a lot of space for new entrants. This with the average asking rent rate of between $19 and $25 per square foot for class A buildings make it a prime commercial area. This represents the second most attractive spaces for suburban offices in the greater Hartford submarket area. It is comprised of the neighborhoods of Middletown, Cromwell, Rocky Hill, Berlin and Wethersfield. There is a shortage of class B and lower rated office space within Hartford City, with the high profile companies pressuring it to have more upper-tier Class A offices. Class B spaces can mostly be found around the city particularly in the Middletown area. The year-end vacancy rate of the southern submarket stood at 15% which was a dip in the previous year’s end-year vacancy rate of 14.5%. The asking rates per square foot for class A buildings in 2014 ranged from $17 to the nearly double $35. Deciding where to set up offices within the greater Hartford Submarket is an easy decision when you consider the nearly 25 Million square feet of commercial space in the area. To guide your decision you do, however, need to consider the type of buildings that fit your needs and the amenities available in Hartford office space. Following our analysis, however, we hope you would have at least narrowed it down.